Also known as “GQ” – Owner and operator of GQ Cuts Hair Shop in La Puente, CA. He first picked up a pair of clippers in Junior High not knowing it would become his calling. In 2017, he opened his own establishment, which has evolved into a full grooming show for both men and women. 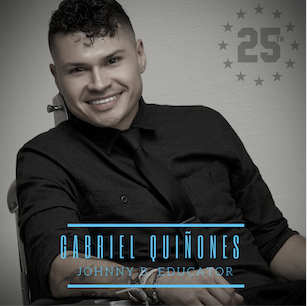 He joined the Johnny B. team in 2009, pioneering education for the brand.